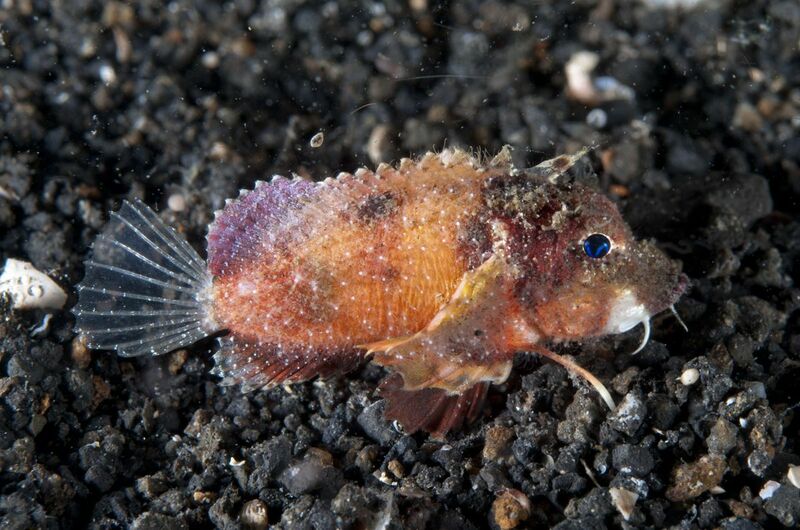 The Walking Fish: You Might Never See it Before!!! Don't Miss it. Imagine taking an evening dive and seeing a fish casually strolling along the ocean floor … on what looks like a pair of legs. That’s exactly what happened to a French diver off the coast of Bali, Indonesia on a recent night expedition. Luckily, he filmed the encounter so scientists (and the internet) could enjoy. The diver, Emeric Benhalassa, said he suspected the creature was a type of stingfish (one of the world’s most venomous fish), National Geographic reports. However, scientists have not been so sure, and have been unable to reach a consensus about what the bizarre creature actually is since Benhalassa’s video surfaced on Monday. The footage shows an orange-ish colored fish with billowy brown fins and what appear to be spiny legs scuttling around the ocean floor. While stingfish don’t actually have legs, they do have “pectoral filaments” (a part of their pectoral fins which separated through evolution), which they use to root around for crustaceans and worms. Yum. According to National Geographic, possible scientific identifications of the fish have included a striped stingfish, a painted stinger, a whitetail goblinfish, or even an undescribed species. Without being able to hold the fish in their hands, scientists say it’s hard to make an exact identification. It doesn’t help that very little is known about the behavior of the stingfish, because they spend their days buried in the mud. Stingfish are viewed as a delicacy in Japan and make expensive menu items, while in parts of Southeast Asia they are tossed back into the ocean because they are believed to be devils. One thing’s for sure- there’s definitely some weird stuff in the ocean.